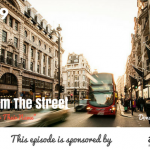 Home » TSE Podcast Post Page » TSE 587: How Many Customers Do You Have? One of the things I commonly come across with many salespeople and entrepreneurs is that they want the sale without necessarily doing the work. Many entrepreneurs have the ability to produce a product or service they can deliver but the challenge is getting customers to say yes or getting people to buy from them. One of the most important data for any organization is your customers. You’ve got to know your people. Long gone is the approach of just coasting and living off whatever sales would come in. You need to make an offensive approach and start making calls. 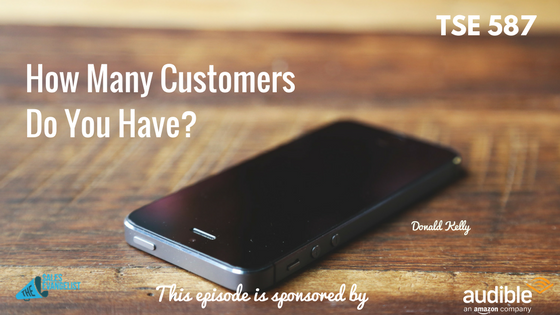 Recognize who your customers are. You need to know their names and what products they’re buying from you. How can you get them into an automated purchase? This means making them purchase on an ongoing basis. What can you do to make it into an auto-renewal program? This is not rocket science. It’s as simple as picking up the phone. Once you start making these phone calls and talking with these buyers, they learn a little bit more about why they do things and why they have these habits, and why some of them were not interested in doing the auto-refill program. While many people are scared of picking up that phone, some are also so busy running the business that they don’t have time to help their business to grow. They’re juggling tons of different tasks. If you don’t need to do something, pass it on to somebody else. If somebody can do it better than you can, don’t waste your time doing it. Hire a virtual assistant. Find someone that can do it better and quicker than you. It’s going to cost you, sure. But in the end, you’re gaining a lot more because now you can focus on doing activities that are going to generate more revenues. Are you a business card hoarder where you collect business cards from all these events you go to? That’s alright if you’re making calls. Don’t just keep them in your drawer. Don’t be afraid to talk to people. Stop that head trash and telling all those lies to yourself that they’re going to get offended or angry. Start getting on the phone and things will get a little easier. Send emails to your prospects and start understanding their needs and challenges. Speak to your existing customers so there is that personal connection. It’s so much more difficult to walk away from a business like that as a customer. Make five phone calls a day. This equates to 25 calls in a week if you’re doing a 5-day work week. Imagine the opportunities that can come from that. You can send emails, but there’s something about them hearing your voice since it becomes more real to them. They’re going to appreciate you took the time to talk to them. There’s a special thing about that. Get on the phone and don’t be afraid of following up. The worst thing that can happen is that you don’t get hold of them or they’re not interested. It’s all the better if you get those so you realize that it’s not going to be the end of the world and you keep moving forward. Make time to get on the phone and talk to your customers. Have an understanding of how many customers you have, how much money they’re bringing in, what they buy from you, why they buy those things from you, and how you can help them continue to be there for them and how they can help you to generate more money by bringing in more referrals. Be a part of our growing community. Our new semester is coming up. It’s a 12-week thing where we do one hour of training per week and we will put you on a hot seat. You talk about your issues. We ask questions and give you advice. You implement them. Come back to us and tell us how it works!